Civil Revision No. 3147 of 2000. D/d. 8.8.2000. For the Petitioners :- Mr. S.K. Mittal, Advocate. R.L. Anand, J. (Oral) - Whether a co-sharer/joint owner can change the nature of the joint property by raising construction detrimental to the interest of other co-sharer/co-owner is a point which is going to be adjudicated in the present revision which I am disposing of at the limine stage with the assistance rendered by Mr. S.K. Mittal, the learned Counsel appearing on behalf of the petitioners. The other point which I will determine in this civil revision would be the rights of a co-sharer in the joint holding vis-a- vis other co-sharers. In my opinion, this matter requires to be adjudicated in depth as lot of litigation comes in this High Court on the above propositions which I have just framed above. Before I deal with the case law on this aspect, it will be proper for me to give some facts of the present civil revision which has been filed by Ram Niwas and others against Jai Ram. 2. Jai Ram alias Tej Ram filed a suit for permanent injunction regarding residential plot bearing khasra Nos. 194 and 197 situated within the abadi of village Fejabad alias Pahasor, tehsil and district Jhajjar. The case set up by the plaintiff before the trial Court was that he and defendants No. 1 to 5 are joint owners in possession of residential plot comprised in Khewat No. 18 min khata No. 20 khasra Nos. 194 and 197 and are in joint possession of the plot as co-sharers and the disputed plot is the joint property in possession of the aforesaid parties and is lying vacant. According to the plaintiff these khasra numbers have never been partitioned either mutually or through Court and are being used for preparing cowdung cakes, storing rubbish and fire-woods etc. along with other domestic and agricultural purposes and none of the co-sharers is in exclusive possession over any part of the disputed property, but the defendants No. 1 to 5 in collusion with defendant No. 6 forcibly want to oust the plaintiff from the disputed property by raising construction on more than their shares and this conduct of the defendants is illegal, null and void and unwarranted. The plaintiff requested the defendants not to raise construction over the joint property unless the same is partitioned by metes and bounds, but to no effect. Hence this suit. 3. Along with the suit the plaintiff filed an application under Order 39 Rules 1 and 2 C.P.C. and prayed that during the pendency of the suit the defendants be restrained from raising any construction over the joint property detrimental to the interest of the plaintiff. 4. Notice of the suit as well as the application was given to the defendants. They filed the written statement and denied the allegations. The defendants admitted that they are the joint owners and the disputed properties are joint between the parties. They alleged that in a private partition all the co- sharers demarcated their shares in the disputed properties and thereafter the co-sharers started raising construction over their respective shares. There is no joint owner in the property and defendants are raising construction over the plots which had fallen to their shares in the family settlement and the proposed raising of the construction will not create any hindrance in the rights of the plaintiff. With this broad defence, the defendants prayed for the dismissal of the application under Order 39 Rules 1 and 2 and also the suit. "5. As far as the prima facie case of the applicant/plaintiff is concerned, the perusal of pleadings of the parties itself reveals that both the parties admitted the fact that earlier the disputed properties were joint properties of the plaintiff and defendants. If the version of the plaintiff is taken to be true then the disputed plots are still joint properties of the plaintiff and defendants. In this regard, learned Counsel for the plaintiff has argued that by way of construction, an open piece of land is being transformed into a residential property and that (if) the construction on the part of the defendant No. 1 to 5 is not stopped, the nature of the disputed plots shall stand changed permanently, which cannot be allowed unless shares of the parties are separated by way of partition and, therefore, the defendants No. 1 to 5 have no right to change the nature of the suit properties and consequently the plaintiff is entitled for injunction. In this regard, learned Counsel for the defendant has argued that since as per claim of the plaintiff disputed plots are the joint properties of the plaintiff and defendants and as the defendants No. 1 to 5 are co-sharers of the plaintiff in respect of disputed plots the plaintiff is not entitled for any injunction and, therefore, no prima facie case exists in favour of the applicant/plaintiff. In this regard, learned Counsel for the defendants has relied upon the principle laid down by Hon'ble High Court of Punjab and Haryana in the case of Maman Chand v. Smt. Kamla Devi, (supra), wherein it has been laid down that "Co-sharer - Temporary injunction against - Held would be an abuse of process of Court - Co-sharer if prevented from enjoying property in his possession of the property during the pendency of the suit the competent court is entitled to take notice of it and pass appropriate order at the time of decision of the case." 6. 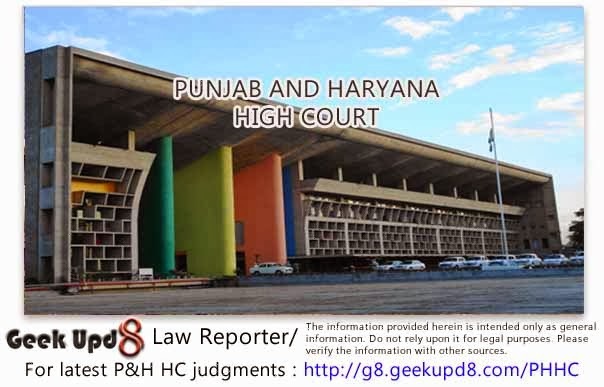 After giving my due consideration to the above mentioned arguments extended by learned Counsel for the parties and also keeping in view the evidence adduced by both the parties, in my opinion, I am of this considered view that in view of principle laid down by Hon'ble High Court of Punjab and Haryana in the authority mentioned above, in my opinion, the applicant is not entitled for any injunction against his co-sharer i.e. the defendants No. 1 to 5 and therefore in my opinion, no prima facie case exists in favour of the applicant/plaintiff. 7. As far as the balance of convenience is concerned, keeping in view the fact that the defendants No. 1 to 5 are trying to change the nature of the disputed plots which will result into permanent disfigurement of the disputed plots, in my opinion, if ad interim injunction is not passed the applicant/plaintiff has likelihood of suffering greater inconvenience than the inconvenience likely to be suffered in case of injunction and, therefore, the balance of convenience is in favour of the applicant/plaintiff. 8. As far as the likelihood of suffering irreparable loss by the applicant/plaintiff is concerned, in my opinion, in view of principle laid down by Hon'ble High Court of Punjab and Haryana in the case of Maman Chand v. Smt. Kamla, in the absence of ad interim injunction no irreparable loss is going to be caused to the plaintiff and, therefore, this point of determination is hereby decided against the plaintiff." "6. I have heard the arguments advanced by appellant's counsel Sh. P.C. Nehra, Advocate and also the respondents' counsel Sh. Udei Bhan, Advocate and have gone through the lower court record very carefully. 6. Principles governing ad interim injunction are well settled i.e. firstly - the plaintiff is required to show prima facie in his favour, secondly - balance of convenience and thirdly - an irreparable loss to the plaintiff, which cannot be compensated in terms of costs, if injunction is refused to the plaintiff. 7. Coming to the first principle i.e. prima facie case in favour of the plaintiff, the learned lower court has categorically observed that there is no prima facie case in favour of the plaintiff and based his opinion on the principles laid down by the Hon'ble High Court in Maman Chand v. Smt. Kamla Devi (supra). After going through the pleadings of the parties and also the order of the learned lower court dated 16.8.1999 and also the case law laid down by the Hon'ble High Court in Maman Chand's case (supra), I am of the opinion that the learned lower court has failed to appreciate the facts of the case and also fell in error in taking the law point correctly and, therefore, this has resulted in the miscarriage of justice. For this firstly, I would like to refer the facts of the case. Undisputedly, the parties are co-sharers and the suit property has not been partitioned. Though in the written statement, it has been alleged that there was a private arrangement between the parties and the parties are in possession of their respective shares, but this is not a legal partition and the fact remains that the parties are still co-sharers. Now, it is the case of the plaintiff that the defendants are trying to raise construction over the suit property. This fact has not been denied by the defendants, rather it is the case of the defendants themselves that they are going to raise construction but only to the extent of their share. If at all the construction is raised, this would amount to the change of nature of the suit property and, therefore, the plaintiff was quite justified to file the present suit at the relevant time, when there was a threat to his possession. If at all the construction is raised over the suit property. It is a well settled law that a co-sharer is not entitled to change the nature of the suit property by way of raising the construction, without getting the suit land partitioned and for this reliance was rightly placed by the appellant's counsel on Nazar Mohd. Khan v. Arshad Ali Khan, 1996 PLJ 33 : 1996(1) RRR 117. This being the latest authority to that of Maman Chand's case (supra), I am to follow this authority, which favours the appellant's case. The prima facie case, therefore, is in favour of the plaintiff. 8. Now coming to the balance of convenience, the learned lower Court has observed that it is in favour of the plaintiff and, therefore, needs no further discussion. 9. Now coming to the third principle i.e. irreparable loss, again the learned lower court fell in error in observing that the balance of convenience is not in favour of the plaintiff. This again resulting the miscarriage of justice. This is because of the reason that if injunction is not granted to the plaintiff and the construction is raised over the suit property by the defendants, the plaintiff is again to approach the court, which would result in the multiplicity of the suit. In that event, the plaintiff after filing of the suit had to appear in the court a number of times which may take years together and, therefore, it clearly shows that the balance of convenience is in favour of the plaintiff, because if the injunction is not granted, the plaintiff would suffer an irreparable loss, which cannot be compensated in terms of costs. 11. As a result of my findings and discussions above the appeal preferred by the appellant succeeds and is hereby allowed. The impugned order of the learned lower court dated 16.8.1999 is hereby set aside and the plaintiff's application for injunction is hereby allowed restraining the defendants from interfering in the plaintiff's possession over the suit property till the decision of the suit except in due course of law." 7. It may also be mentioned here that the first appellate Court relied upon the judgment Nazar Mohd. Khan's case (supra) of this Court. This time the defendants are aggrieved by the judgment dated 25.7.2000 of the first Appellate Court and have filed the present revision. 8. I have heard the learned Counsel for the petitioners and I am of the opinion that there is no illegality in the order passed by the first Appellate court and the High Court should not interfere in the discretion rightly and validly exercised by the first Appellate Court. 9. Mr. Mittal, the learned Counsel appearing on behalf of the petitioners, submitted that the first Appellate Court has based its decision on Nazar Mohd. Khan's case (supra) which judgment has been set aside by the Hon'ble Division Bench of this Court in Bachan Singh v. Swaran Singh, 2000(3) RCR (Civil) 70. He submitted that this judgment has taken note of all the entire case law and ultimately it was concluded that a co-owner has the right to construct on the joint property and the aggrieved co-owner has to approach for partition. Mr. Mittal submitted that it was observed in this judgment that a co-owner who is not in possession of any part of the property is not entitled to seek an injunction against another co-owner who has been in conclusive possession of common property unless any act of person in possession of property amounts to ouster, prejudicial or adverse to interest of co-owner out of possession. Further, it was observed that mere making of construction or improvement in common property does not amount to ouster and the third proposition propounded in the judgment was that if by act of co- owner in possession value or utility of property is diminished, then co-owner out of possession can certainly seek an injunction to prevent diminution of value and utility of property. If acts of co-owner in possession are detrimental to interest of other co-owner, a co-owner out of possession can seek an injunction to prevent such act which is detrimental to his interest. The learned Counsel wanted to say that since the judgment of Nazar Mohd. Khan's case (supra) has been set aside by the Division Bench of this Court, therefore, the order of the first Appellate Court dated 25.7.2000 is also liable to be set aside. An alternative submission was also made by the learned Counsel which I will deal in the last portion of this judgment. The judgment of Bachan Singh's case (supra) has taken note of various celebrated pronouncements of different High Courts including one Full Bench of this court and one Division Bench. 10. The concept of co-ownership is not a new concept. It is a very old concept and originated when a citizen was given the right to acquire the property either by acquisition, transfer, sale or devolution. One may acquire interest in the joint property to the extent of 50 : 50 share or to the extent of different ratio. 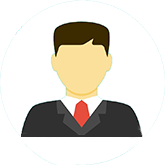 A person having interest of one unit out of 100 units in the joint property will be considered as a co-sharer/joint owner/co-owner. So long he is a co-owner, the law has given him certain rights and also has cast certain responsibilities, liabilities and duties. (1) A co-owner has an interest in the whole property and also in every parcel of it. (2) Possession of the joint property by one co-owner is, in the eye of law, possession of all even if all but one are actually out of possession. (3) A mere occupation of a larger portion or even of an entire joint property does not necessarily amount to ouster as the possession of one is deemed to be on behalf of all. (4) The above rule admits of an exception when there is ouster of a co-owner by another. But in order to negative the presumption of joint possession on behalf of all, on the ground of ouster, the possession of a co-owner must not only be exclusive but also hostile to the knowledge of the other as, when a co-owner openly asserts his own title and denies that of the other. (5) Passage of time does not extinguish the right of the co-owner who has been out of possession of the joint property except in the event of ouster or abandonment. (6) Every co-owner has a right to use the joint property in a husband like manner not inconsistent with similar rights of other co-owners. (7) Where a co-owner is in possession of separate parcels under an arrangement consented to by the other co-owners, it is not open to any one to disturb the arrangement without the consent of others except by filing a suit for partition. (8) The remedy of a co-owner not in possession, or not in possession of a share of the joint property, is by way of a suit for partition or for actual joint possession, but not for ejectment. Same is the case where a co-owner sets up an exclusive title in himself. (9) Where a portion of the joint property is, by common consent of the co- owners, reserved for a particular common purpose, it cannot be diverted to an inconsistent user by a co-owner; if he does so, he is liable to be ejected and the particular parcel will be liable to be restored to its original condition. It is not necessary in such a case to show that special damage has been suffered. (1) Supposing there are 100 units in the joint holding. A has only one unit and B has 99 units. Unfortunately, A is in control of the entire holding comprised of 100 units on account of some exigency; say that B is in service and he cannot remain present in the village for all times because of the job difficulty. A, who has only one unit in the joint holding, though co-owner to the extent of 1 unit out of 100 units, but in exclusive possession, can convert the joint holding in such a manner by raising such type of construction detrimental to the interest of B ? (2) To elaborate further, A and B are the joint owners. Both of them have equal shares in the joint holding, say 50 units each, but there is no actual partition by metes and bounds. One co-sharer, say A is in exclusive possession of his 50 units. The other 50 units are in possession of B by virtue of a mutual partition. Whether A or B without seeking the actual partition by metes and bounds can raise a palatial building or convert that specific portion in their possession to such an extent and in such a manner that the construction of each one of them is detrimental to the interest of other ? (3) Is it proper to say that the person in illustration (1) should knock the door of the revenue authorities and seek the partition of the joint holding by metes and bounds, when the other co-owner, who has only every insignificant interest, enjoys the fruits of the joint holding including to raise construction detrimental to the interest of other joint-owner ? (4) Whether a co-owner, who, though in joint possession, but not in physical possession should file a suit for rendition of accounts of the income of the joint holding against a co-owner, who is drawing the income of the joint holding in excess of his share ? 13. These points, in my opinion, have not been answered both in the Division Bench judgment and in the Full Bench judgment referred to above. Rightly said in Bhartu's case (supra) that co-owner has interest in whole property and also in every parcel of it. Also there is no dispute of the second proposition that possession of joint property by one co-owner, is in the eye of law, possession of all even if all but one are actually out of possession. A mere occupation of a larger portion or even of entire joint property does not necessarily amount to ouster as the possession of one is deemed to be on behalf of all. The above three rules admit of one exception when there is ouster of a co-owner by the other. In order to raise the presumption of adverse title the co-owner openly must assert his own title by denying the title of other co-owner and the passage of time does not extinguish the right of the other co-owner who has been out of possession of the joint property except in the event of the ouster or abandonment. A very important principle was laid down in this celebrated judgment "every co-owner has a right to use the joint property in a husband like manner not inconsistent with similar rights of other co-owners". What is a "husband like manner not inconsistent with similar rights", is a point for interpretation which will depend from facts to facts of each case. Elaborating the judgment of Bhartu's case (supra) further, it was observed that when a co-owner is in possession of separate parcels under an arrangement consented by the other co-sharers, it is not open to anybody to disturb the possession of such co-owner, who has got the possession by consent unless the partition proceedings are filed. It was also observed that a co-owner in possession exclusively of some portion of joint holding can transfer that portion subject to adjustment at the time of partition but not exceeding his own share. Yet it was observed that a transferee of an interest of a co-sharer under Section 44 of the Transfer of Property Act will only get the right of the transferor to joint possession and can enforce partition whether the property sold is fractional or specified portion. The sale of specific portion of land out of joint land by one of the co-owner is nothing but a sale of a share out of the joint holding. Meaning thereby that nobody can transfer more interest than the one he possesses. 14. Injunction is a relief of equity. A person who seeks equity must do equity. It is a relief of discretion. Discretion should not be used in favour of a person who approaches the Court with soil hands; who tries to by- pass the law; who conceals material facts; who wants to take undue advantage of his alleged or supposed rights or who wants to deal with the joint property not in a husband like manner. 15. If the duties of the husband are taken vis-a-vis the wife, broadly speaking to treat the wife with love and affection; give her protection and securities; not to injure or harm her person; treat her with respect so that she may also contribute all per personal resources and efforts in maintaining the joint family. If a husband maltreats his wife, it amounts to cruelty. It is not expected from a husband. 16. Reverting to the case of co-ownership, if a co-owner tries to change the nature of the property detrimental to the interest of others, or if he tries to deny the title of his co-owner, or if he raises a construction in such a manner and to such an extent that it may become difficult or impossible for the co-owner to get an effective partition, such action of a co-sharer cannot be terms as husband like manner. If a co-sharer who has only a very fractional interest in the joint holding, is in exclusive possession of the joint holding in excess of his share and wants to keep the other co-sharer of substantial interest at bay, the former does not deserve the relief of equity. To create hardship for a co-sharer, who has large interest in the joint holding, is never and should not be the object of law. Rather such co- sharer with large interest, if approaches the Court with an injunctive relief and prayer, should be respected and weightage should be given to his request unless such co-sharer had consented to an arrangement and has allowed his co- sharer with a limited interest to enjoy the fruits of the joint holding. A co-sharer, who has been deprived of the fruits of the joint holding by a co- owner having a fractional interest has the right to ask the other co-sharer to render him the accounts as of the joint income and he can also come to the Court with a prayer that a co-sharer with a fraction of holding should be stopped from adopting such tactics which are detrimental to the interest of the joint holding. There can be cases where one co-owner having a very small fraction in the joint holding may be muscle strong and he may perform such acts to deprive the other co-sharer of the fruits of his share. There can be a case that a wrong-doer would like to perpetuate his mischief or nuisance for a long time or for all times detrimental to the interest of other co- owners and may approach the Court with an injunctive relief. Such person should be discouraged because he is seeking equity without doing equity to the others who have interest in the whole property and also in every parcel of the same. Rather the Court should consider that possession of joint property by one co-owner is, in fact, in the eyes of law possession of all even if one is in actual physical possession. Such co-owner is holding the property like a trust to deal it like a husband like manner and he can deprive the other co-owners only on the ground of ouster or abandonment. In order to constitute an ouster there should be clear cut intention on the part of a co-owner that he wants to set up a hostile title to the knowledge of the other co-owners and in order to constitute abandonment on the part of a co-owner there should be voluntary and intentional act under which a co-owner wants to relinquish his right, title or interest. The evidence should be clear, cogent and reliable and not of a weak inference. Otherwise the concept of co-ownership would itself in danger. 17. Reverting to the facts in hand, it is true that the judgment in the case of Nazar Mohd. Khan (supra) relied upon by the first Appellate Court has been set aside by the Hon'ble Division Bench, but the point for determination is whether the petitioners can take the advantage of Bachan Singh's case (supra). Every judgment has to be considered on its own facts. I have also the occasion to go through this judgment in depth. The Hon'ble Division Bench observed that a co-owner who is not in possession of any part of property is not entitled to seek an injunction against another co-owner who has been in conclusive possession of common property unless any act of person in possession of property amounts to ouster, prejudicial or adverse to interest of co-owner out of possession. Here is a case where the plaintiff has alleged that the property is joint. The defendants are coming with a specific plea that the property has been partitioned. Prima facie there is no proof of partition or family settlement nor any such family settlement has been acted upon in the revenue record. Rather, in this very judgment a proviso has been added to the first proposition that a co-owner has the right to approach the Court and seek injunction if the act of other co-owner amounts to prejudicial or adverse to the interest of the co-owner, who is out of possession. This case has to be decided on the pleadings for the purpose of Order 39 Rules 1 and 2 C.P.C. by keeping in view the three salutary principles of prima facie case, balance of convenience and irreparable injury. I have already stated about the prima facie case. There is no prima facie evidence on the record to show that this land has been partitioned. Meaning thereby, the plaintiff and defendants No. 1 to 5 are in joint possession in each and every parcel of the land. In these circumstances, the liability of a co-sharer is to treat the joint holding in a husband like manner and enjoy the specific portion of the land, but do not change the total complexion of the land by raising this type of construction that it becomes difficult for the other co-owner to get the relief even in the partition proceedings. How a co-sharer can make castle or a huge building on a joint holding in his possession detrimental to the interest of other co-owner ? Would it not become impossible for the other co- owner to get the effective relief in the revenue proceedings ? Answer of this Court is in the affirmative. If a co-sharer enhances or diminishes the value or utility of the property to such an extent and in such a manner that it becomes difficult to a co-owner to get effective relief of partition, cannot such a co-owner come to the Court and say that my other co-owner should be stopped from raising the construction in such a manner that it had diminished the value or utility of the property to a considerable extent or that he had spent huge amount that his ultimate right to get that portion of the land over which a palace has been created has been affected. The Hon'ble Division Bench also gave the right to a co-owner to come to the Court and get a relief if the acts of other co-owner are detrimental to the interest of one co-owner. So, it can be said that every case has to be viewed on its own angle. In the present case the defendants prima facie committed those acts which are definitely detrimental to the interest of the plaintiff. Therefore, the first Appellate Court had to interfere in order to prevent the miscarriage of justice and for the advancement of cause of justice. This revision is against the order of reversal but if the first Appellate Court has shown its maturity in allowing the application of the plaintiff under Order 39 Rules 1 and 2 C.P.C. by adopting the salutary and recognised principles of law, the High Court should not interfere in such type of discretion exercised by the first Appellate Court. 18. There is a slight mistake in the order of the first Appellate Court which I would like to rectify. The first Appellate Court has allowed the application of the plaintiff and defendants have been restrained from interfering in the possession of the plaintiff over the suit property till the decision of the suit except in due course of law. In fact, the relief claimed for by the plaintiff was that the defendants be restrained from raising any construction on the joint holding as the property has not been partitioned. Therefore, this Court modifies the order by dismissing this revision and by making observations that defendants are injuncted upon from raising any construction on the joint property till the disposal of the suit as the parties are co-sharers. The defendants shall not change the nature of the suit property as prima facie the rights of the parties are still joint and indivisible. 19. Nothing stated above shall amount an expression of my opinion on the merits of the suit.